The holidays are super busy and most nights I do not have a lot of time to prepare a healthy dinner for my family. 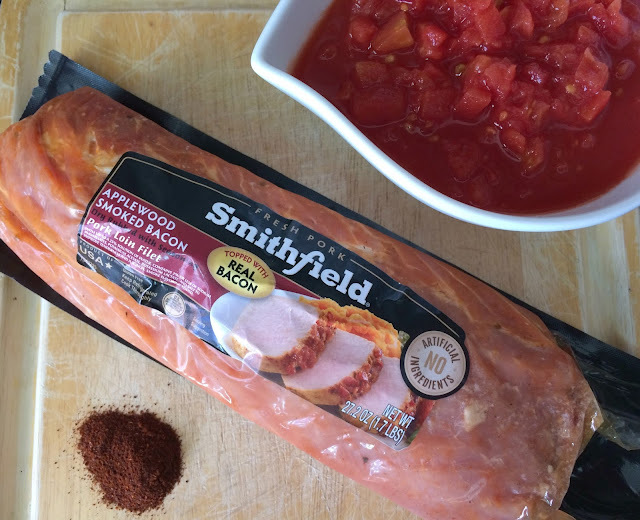 Smithfield® Marinated Pork brings you "Real Flavor Real fast" and helps get dinner on the table in lass than 30 minutes! This is perfect when my son asks me "What's for dinner?" as soon as I walk in the door! 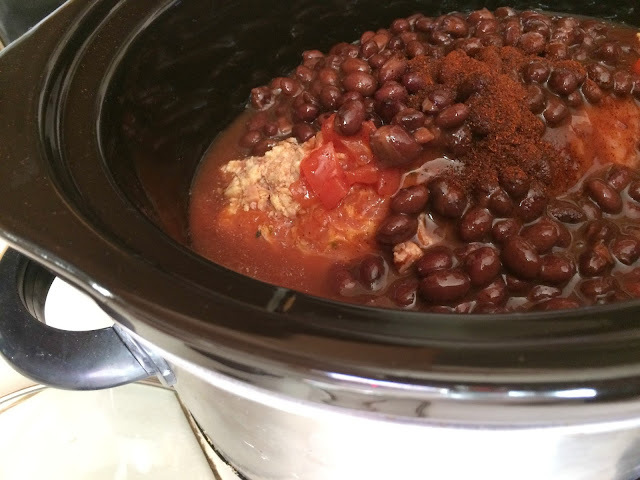 The slow cooker is one of my most used kitchen appliances because I can cook almost any meat in it, with minimal prep time. I created a Tex-Mex Pork recipe that only requires a few ingredients and will be ready when you get home from work. I am using Smithfield Marinated Fresh Pork in my recipe, because it is already seasoned and comes in conveniently packaged Loin Filets, Tenderloins, and Roasts. If you have 10 minutes and a well stocked pantry, you can throw everything in the slow cooker in the morning, before leaving for work and end up with a hearty meal when you return home in the evening. 1. 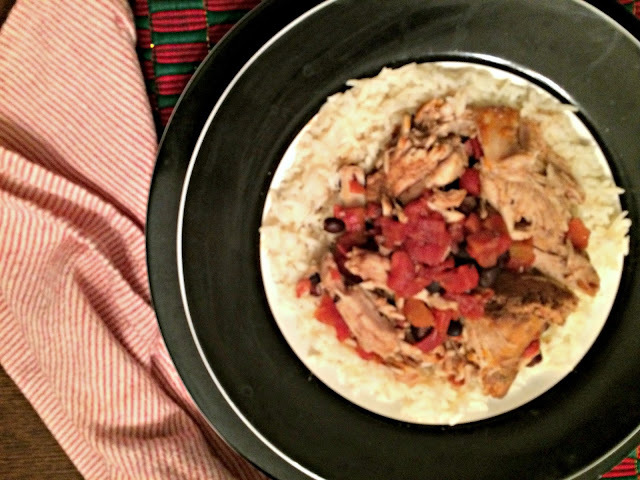 If you like to use a liner, place it in the slow cooker first to make cleanup a breeze. 2. Remove the Smithfield Marinated Applewood Smoked Bacon Pork Loin Filet from the packaging and place in the bottom of the slow cooker. I have a large slow cooker, so the entire loin fit, but you can cut it in half if you need to. Tip: I always place the meat in first, so the veggies do not get overcooked. 3. Add the tomatoes, black beans, and chili powder on top of the pork loin. 5. 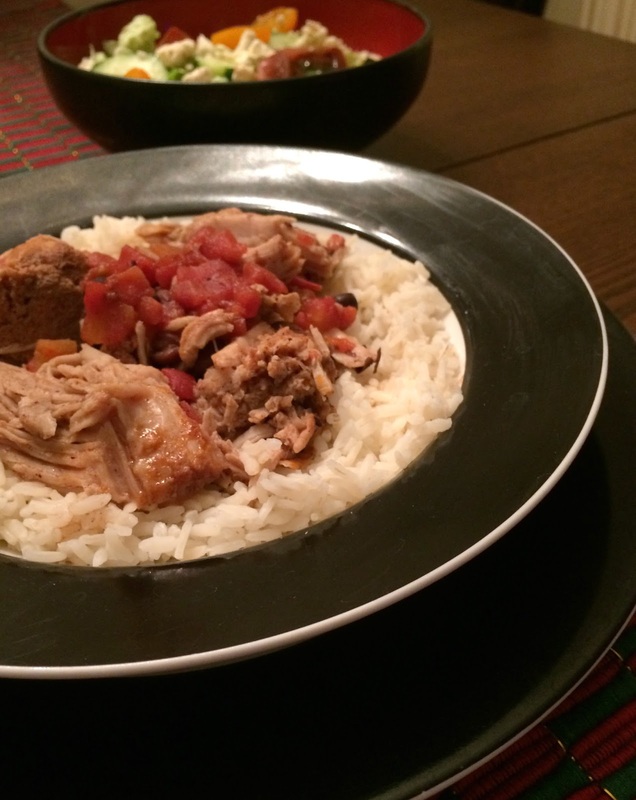 Use a fork to shred the pork in the slow cooker and mix the ingredients together. It should look like a chunky chili. 6. Serve in a bowl, over a bed of white rice. 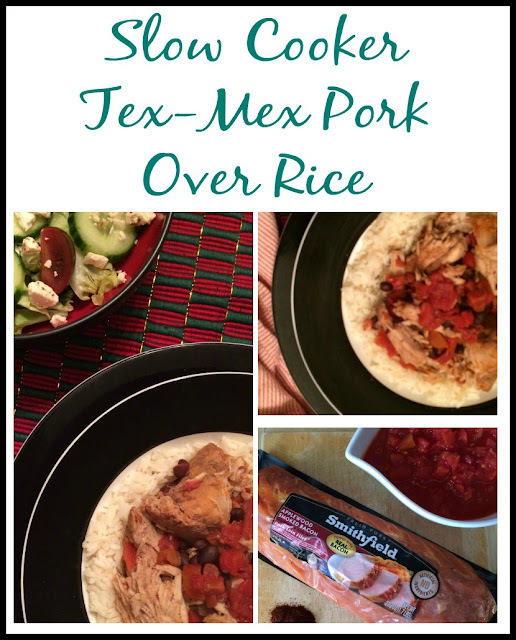 I served my Tex-Mex Pork and Rice with a fresh garden salad for the perfect well-rounded meal and it took less than 30 minutes to prepare the entire meal! 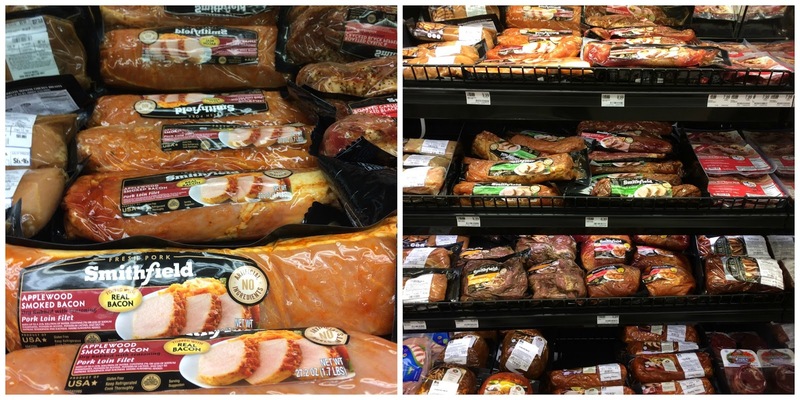 You can find Smithfield Marinated 100% Fresh Pork at your local Food Lion, in the meat section. 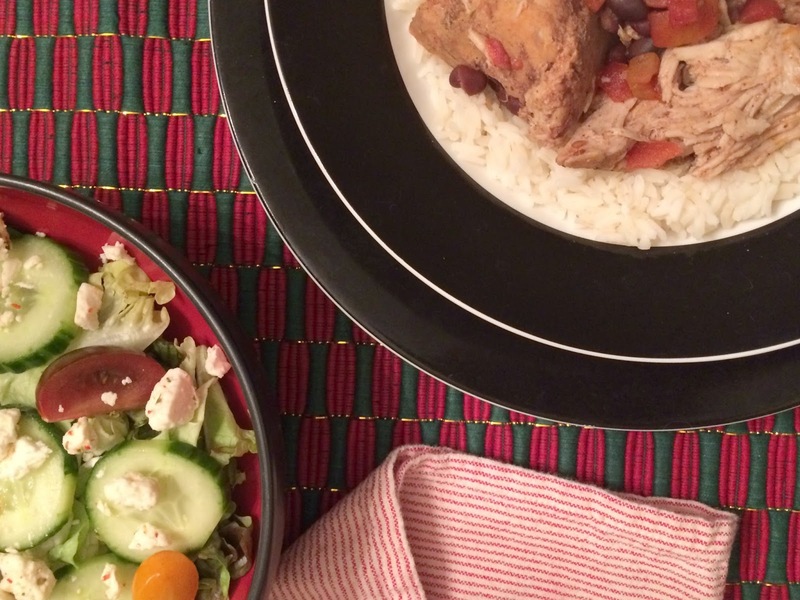 Check out these #RealFlavorRealFast ideas and tell me which one you want to try! If you want more easy recipe inspiration from Smithfield, visit them online and follow them on Facebook and Twitter! This looks so delicious and easy, I'm definitely going to try this! It is easy and it was great even the next day!